Learn a cool acoustic blues guitar solo in the style of blues guitar legends Eric Clapton and Stevie Ray Vaughan . Packed full of great blues licks and techniques guaranteed to boost your blues soloing power in both an acoustic blues or electric blues guitar setting! Here’s the blues solo over a 12 bar blues in the key of E. You’ll probably recognise some of Eric Clapton and Stevie Ray’s favourite acoustic blues licks in there! Learn the two E minor pentatonic scale shapes we’re using in this blues solo. The first pattern is played around the open and 3rd fret area and the second pattern extends up to the 5th fret area of the fingerboard. This solo uses lots of open string blues ideas coming from these patterns. 3:07 Acoustic Blues Lick 1 -This classic blues lick is using a fragment of an E7 chord -which makes perfect sense as we’re playing over an E7 chord here. You can hear Clapton play something similar to this on his ‘Before You Accuse Me’ solo on his ‘Unplugged’ album. The lick uses this repeating idea several times before moving into a lick using the open string E minor pentatonic scale with some notes from an open E chord added in. 6:31 Acoustic Blues Lick 2. A cool little blues idea again in the style of Eric Clapton. This one uses an E blues scale pattern up around the 5th fret with a couple of added notes(see video for shape). Notice how this scale also ‘outlines’ the A7 chord we are playing over – this is why it sounds so good over the A7 chord.Also note the bluesy slides and blues urls used in this lick! 9:50 Acoustic Blues Lick 3. Check out this cool Stevie Ray Vaughan lick using the second scale shape we looked at earlier and a B7 chord shape too. As in lick 1 we’re using a repeating idea played in triplets with slides – a very authentic blues sounding trick! Notice the addition of trill using the 1st fret G string (from the open E chord shape)and the bass run leading into the B7 chord shape. Picking out the notes in the B7 chord shape is a simple but effective approach which punctuates this point in the solo nicely. 13:35 Acoustic Blues Lick 4. This open string lick is typical of both Clapton and Stevie Ray Vaughan’s playing. It’s using several of the devices we’ve seen elsewhere in this guitar solo. The little sliding lick here around the 3rd and 5th fret is well worth investigating! 15:13 Acoustic Blues Lick 5. Here’s a cool little blues turnaround lick in E which wraps the solo up nicely. This is a ‘classic’ turnaround idea you’ll hear lots of blues artists play. It’s making use of open strings and a descending phrase along the G string to lead us to the end. 16:24 Here are licks 3,4 and 5 joined up slowly. Now that we’ve broken the solo up into individual blues licks, let’s put it together and listen to the whole thing one more time. 17:18 Now What? 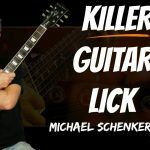 Tips For Using These Licks! Take your favourite licks, change them, extend them, create your own variations and make sure you use them! This is a crucial part in absorbing new vocabulary into your soloing and improvising. Don’t be afraid to experiment, experiment, experiment! This is the only way we become better blues soloists. Remember to simpify the licks, slow them down – do whatever you need to in order to make them playable and useful for YOU!